Heat grill. In small bowl, combine parsley, tarragon, dash salt, honey and lemon juice; blend well. Sprinkle chicken with 1/4 teaspoon salt and the pepper; brush with honey mixture. When ready to grill, place chicken on gas grill over medium heat or on charcoal grill 4 to 6 inches from medium coals. Cook 8 to 12 minutes or until chicken is fork-tender and juices run clear, turning once and brushing with remaining honey mixture. 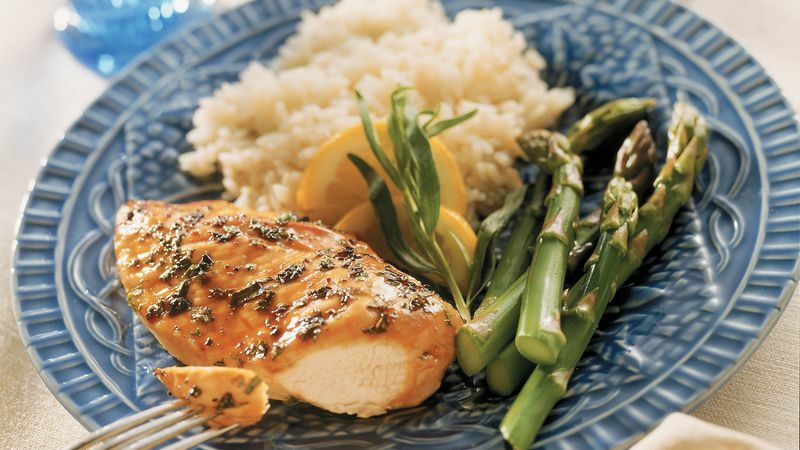 Chicken seasoned with slightly sweet, anise-flavored tarragon is a classic combination in French cuisine. To broil chicken, place on broiler pan; broil 4 to 6 inches from heat using times above as a guide, turning once and brushing with remaining honey mixture.